We are back in Istanbul. After traveling the coast of Turkey we did a quick visit to our families and friends in France and Germany. Now we just enjoyed another week in Istanbul. We walked the neighborhoods, visited mosques and bazaars, crossed the Bosporus multiple times and did what every good inhabitant of Istanbul does: Took care of cats. 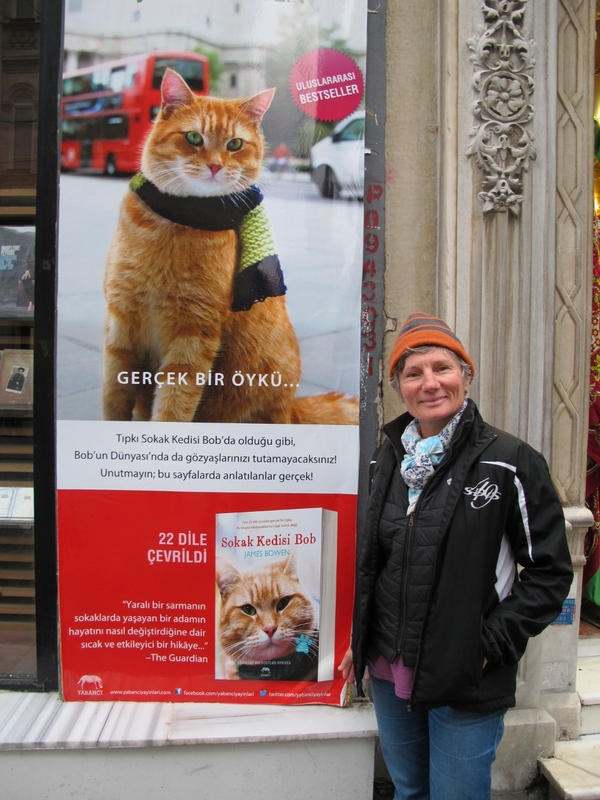 Citizens of Istanbul love their cats and the cats love them. The cats are everywhere: On the streets, in the shops, on and under cars and motorbikes, in hotels and restaurants and even in mosques. One of the 8 cats living in the renowned Hagia Sophia mosque even came to world fame by being petted by President Obama during his visit on April 8, 2009. Nadine bought a bag of cat food and we roamed the streets followed by an armada of furry friends.